Below is a list of the completed projects that Vincent Painting has carried out over the last fifteen years, along with our credentials. We have had a contract with Hazelwood Power Station since 1995. We have NACE level 1 and level 2 painting inspectors. We have completed works for Southern Rural Water at Glenmaggie and Narracan dams. We applied potable water coatings to the one million litre water tank for Gippsland Water, and we still provide on site and workshop coatings for Gippsland Water. We provided the abrasive blasting and painting for the internal of Concrete Inlet works and Storage facility for Western Water at Gisborne RWTP and the Filter Cell for Sunbury WTP. We have extensive experience working in High Voltage Switchyards and Terminal Stations e.g. Hazelwood, Sydenham and South Morang for SPI and Powercor. Since 1999 we have been supplying abrasive blasting and protective coatings for Fire service water pipes at Hazelwood mine West Field relocation. We were subcontracted by Fergusons to supply all the linemarking at Esso gas plant, Longford in 1999. 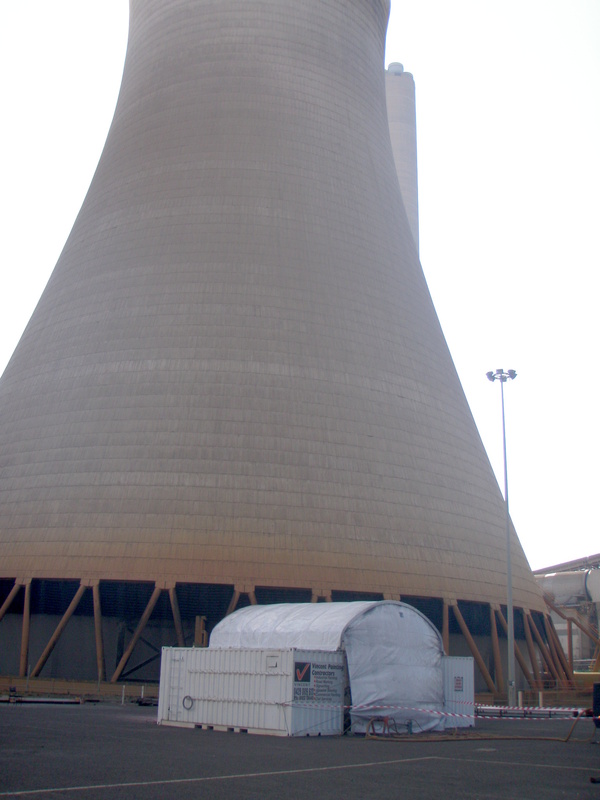 In 2003 we abrasive blasted and applied Belzona coatings to the condenser water boxes at Loy Yang B Power Station. In 2004 we sub-contracted to Simon Engineering in Yallourn mine for the fire service water pipes relocation. We have extensive experience applying ceramic and highbuild coatings, e.g. Imatech, Belzona & Loctite; we are approved applicators for these products. In 2004, 2006, 2008, 2010, 2012 and 2014 we abrasive blasted the Turbine blades at Loy Yang B for Siemens / Hitachi. In 2006 we completed on site abrasive blasting and painting of the glycol and mud tanks for Halliburton at Barry Beach Marine Terminal and for Esso, offshore at Kingfisher A platform applying Belzona coatings. We have applied coatings to the paper machines at APM Maryvale. We have been employed by Melbourne Airport, Tullamarine to apply non-slip protective coatings to pedestrian traffic areas airside. We were the onsite contractor applying the chemical resistant coatings to the Gippsland Water Factory project in Morwell. In 2010 we applied Loctite chemical and impact resistant coatings to a SAG mill in a copper mine in the Democratic Republic of Congo. We have recently been working on site at Viridian (Pilkington glass) Dandenong supplying a vacuum blast dust free system inside their factory. From February 2011 – December 2013 we had employees on site applying protective coatings at the Victorian Desalination Plant.